My brother had a baby almost 4 months ago. His first. A beautiful boy. I knitted him a newborn hat a couple of months ago, and had plans to also knit a blanket. I finally made a trip to our local yarn shop. 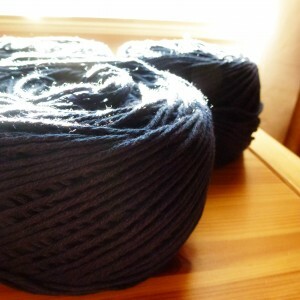 I’m not into gendered colors so I’m a bit embarrassed to show the yarn I bought is blue. But it was the only color of that particular yarn (combo of cotton and superwash wool) that appealed to me. So here it is. I’ll post a photo of the blanket when I’m done. Hah…lets see how long it takes me! !